Want to keep in the loop on the latest happenings at Chabad Jewish Center of Petaluma. Subscribe to our mailing list below. We'll send you information that is fresh, relevant, and important to you and our local community. Chabad Jewish Center of Petaluma Judaism with a Smile! JSprouts Mommy & Me Events Parenting Join! Why Giving Matters Ways To Give Gratitude Resources Contact Create a Legacy! Teams will face off in the ultimate Chanukah cookoff. 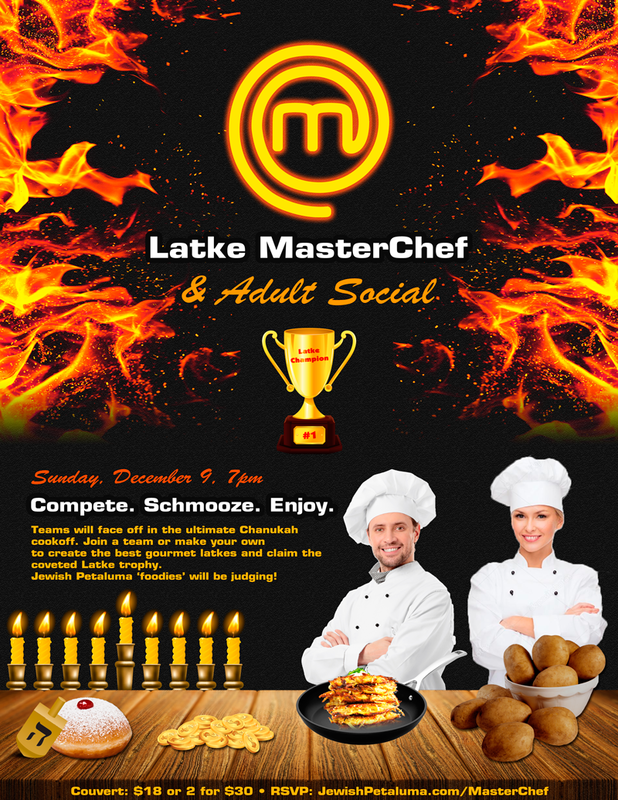 Join a team or make your own to create the best gourmet latkes and claim the coveted Latke trophy. (All supplies and ingredients will be provided). There will be gluten free options available. 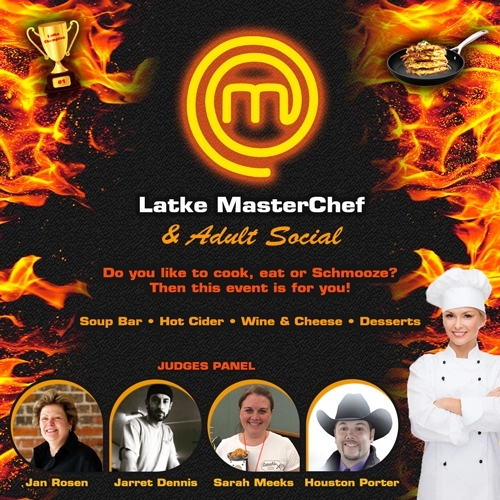 Jewish Petaluma ‘foodies’ will be judging! Spend a delightful evening with friends, with gourmet Chanukah delicacies and enjoy drinks, refreshments, and socializing on what promises to be an amazing evening.